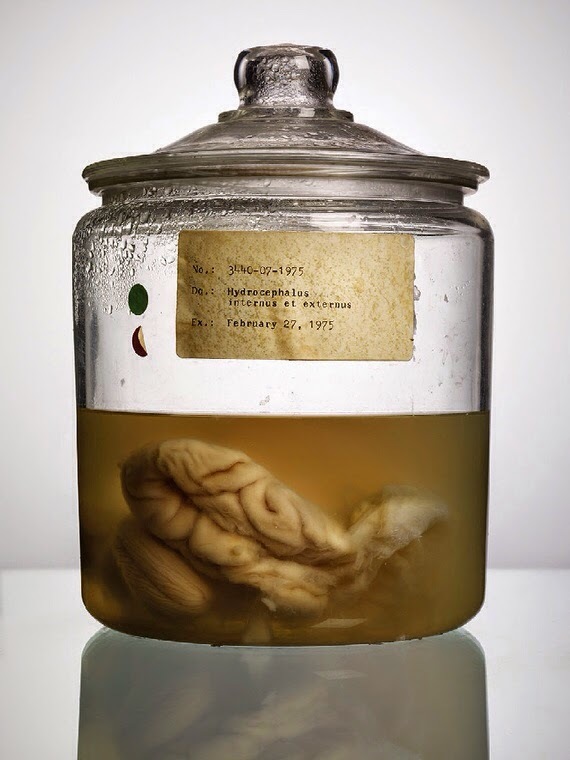 Resident pathologist Coleman de Chenar began amassing a collection of brains in the 1950s at what was then called the Texas State Lunatic Asylum. By the time he died in 1985, he had 200 specimens in glass jars, each of which was labeled with a reference number, the condition from which the patient suffered (described in Latin), and his or her date of death. The asylum, by then renamed the Austin State Hospital, found a home for the collection at the University of Texas and transferred the brains in 1987. They were housed in an air-conditioned storage closet at the Animal Resources Center. The curator of the collection, UT neuroscientist Tim Schallert, was asked by the center’s then-director Jerry Fineg in the mid-1990s to move half of the collection to make space. But when Schallert undertook the task, he found that only 100 brains remained and that Fineg did not remember clearly what he had done with them. Says Schallert of the lost brains – which include that of UT mass murderer Charles Whitman, "I never found out exactly what happened—whether they were just given away, sold or whatever—but they just disappeared.” The mystery of the missing brains is now a book by photographer Adam Voorhees and journalist Alex Hannaford. Happily, what is one of the strangest brains in the world is still preserved in the existing collection.